Ingredients: Alcohol Denat., Parfum (Fragrance), Aqua (Water), Benzyl Salicylate, Limonene, Linalool, Coumarin, Citral, Benzyl Benzoate. Love all M.Asam products and this is the first time trying the Eau de Parfum. What a wonderful clean scent! Thanks for offering us scents and I will for sure try the others. Velvance is a great fragrance to layer with the Vinolift body lotion! I LOVE the smell of the Vinolift product line!!! This parfum doesn't smell EXACTLY like the Vinolift creams and lotions BUT is equally as wonderful on it's own or combined together. I appreciate that this is a large bottle, it definitely will last a long time. I am VERY happy with this purchase. Thank you, M. Asam and HSN! Thank-You M. Asam.Not The Same Cookie-Cutter Frangrance.Unique.A+. I LOVE. I tried this for the first time about a month ago. Wanted to try a new scent. Glad I did. Lovel floral scent and this will now be my go to eau de parfume. Thanks M Asam. 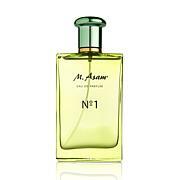 It's always a lottery to buy an unfamiliar fragrance online, but I love the M. Asam No. 1 eau de parfum that is the same citrusy fragrance from their Vino Gold line. 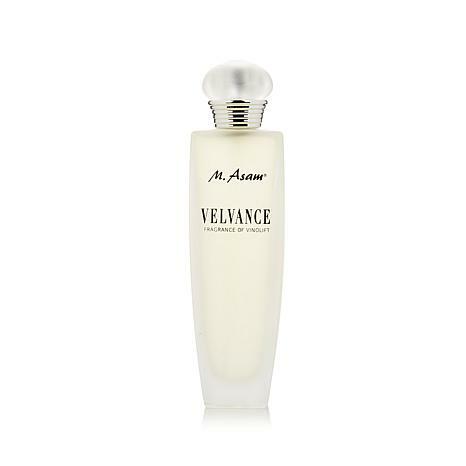 Velvance is a wonderful scent that has more of an oriental floral. It is a classic scent without the big announcement of "juicy berries". I am not a walking fruit salad. I love that I can wear either of the edp and like a little black dress, have just the touch of the right fragrance on at any time.